The Fortune annual list of the World’s Most Admired Companies is out, and Apple is in the top spot again. 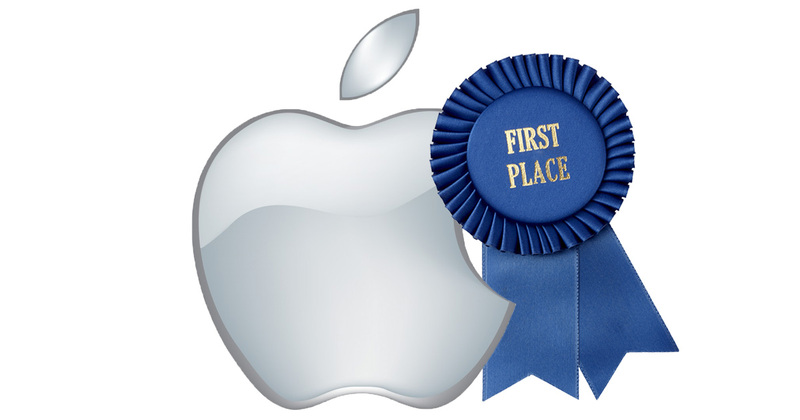 This marks the 11th year in a row Apple has earned the title. Fortune makes the list by surveying about 3,900 executives, directors, and securities analysts who note the 10 companies they most admire. Apple took the top spot in every category: innovation, people management, use of corporate assets, social responsibility, quality of management, financial soundness, long-term investment value, quality of products and services, and global competitiveness. Amazon came in second behind Apple with Alphabet coming in third, followed by Berkshire Hathaway, Starbucks, Walt Disney, Microsoft, Southwest Airlines, FedEx, and JPMorgan Chase rounding out the top ten. The list includes 50 companies.